There are numerous reasons for low back pain and usually several reasons are involved at the same time. The key to relieving the pain and improving the underlying problem is to discover every part of the underlying cause. To often, a doctor will diagnose a patient merely by there x-ray or MRI findings. My office commonly finds missed diagnosed conditions which are just overlooked because a positive diagnostic test was found. While diagnostic tests are important, they are no substitute for a physician taking the time to talk to you about your condition and to do a full hands on examination. Patients with more advanced low back problems like; arthritis, spinal stenosis, sciatica, bulging discs, and herniated discs will benefit from Intervertebral Disc Decompression Therapy (IDD Therapy). IDD THERAPY as be proven effective in treating the most difficult low back conditions even when medications, epidurals, chiropractic, physical therapy and surgery has failed. There are numerous reasons for headaches. A full history and examination are the keys to uncovering the underlying causes. Many headaches are caused by stress and tension in the neck caused by everyday events. Some patients suffer from headaches caused by an auto accident or fall that happened many years ago and only now is starting to cause a problems. tend to relieve most headaches, sometimes more advanced treatment is necessary. Stress induced headaches respond well to Alpha-Stim Therapy. Severe muscle tension headaches are relieved with LiteCure Deep Laser Therapy. Headaches triggered by emotional stress are often relieved by Neuro Emotional Therapy. Migraines are often controlled by Clinical Nutrition. 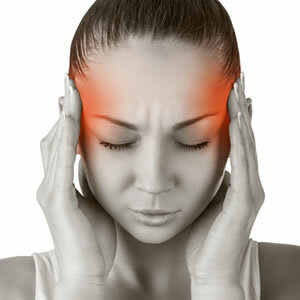 Most patients are treated with a combination treatments to insure that all facets causing the headaches are addressed. Migraines are among the most difficult health conditions for most physicians to treat. The reason Migraines are conquer is because most treatments focus on relief, the key is to focus on prevention. My office has been able to achieve a 90% reduction in the frequency and reduced severity by focusing on preventing Migraines. Migraines are succesfully prevented by combing the following therapies; Chiropractic, Alpha-Stim Therapy, and Clinical Nutrition These therapies when utilized with dietary and lifestyle changes can lead to a lifetime of Migraine freedom. Litecure Laser Therapy can offer migraine sufferers immediate relief for acute situation, while helping to return the blood vessels to prevent future episoded. The prevention of Migraines is so succesful that patients often notice dramatic relief in 8-12 weeks. Tempomandibular Joint (TMJ) pain can be caused by a number of reasons. 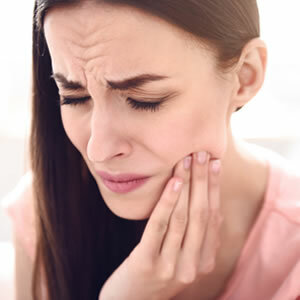 Chiropractic and Physical Therapy are very effective for relieving the pain associated with TMJ. Difficult cases often require a more advanced evaluation, Applied Kinesiology is an excellent way to evaluate the underlying cause of difficult cases. LiteCure Deep Laser Therapy can be utilized in sever cases of TMJ and offers amazing pain relief. Spinal stenosis referes to the narrowing of the openings in the spine where the nerves exit or move through. The causes of spinal stenosis include arthritic changes, degenerated dics, herniated discs, and bulging discs. Intervertebral Disc Decompression Therapy (IDD Therapy) is among one of the best ways to deal with spinal stenosis. Intervertebral Disc Decompression Therapy deals with the root of the problem, by helping to rejuvenate the spinal discs more room is created for the nerves. IDD Therapy in combination with Physical Therapy and Chiropractic gives patients a true chance at pain relief and improved activities. Litecure Deep Laser Therapy often provides immediate pain relief, decreasing inflammation and promoteing healing in the effected area. Fibromyalgia is one of the most misunderstood health conditions of the 21st century. Many physicians classify Fibromyalgia simple as an emotional disorder, similar to depression. The truth is that Fibromyalgia is one of the most complicated medical conditions a patient and their physician will ever have to treat. The key to succesfully treating Fibromyalgia is to address the emotional, structural and biochemical components that are involved. While many Fibromyalgia patients have emotional stresses, they also have structural and biochemical problems that exacerbate their condition. Fibromyaliga patients should be evaluated through Applied Kinesiology to find all the hidden factors involved. Patients will need to be supported with Clinical Nutrition to help rebuild their energy and decrease their pain. Chiropractic and Physical Therapy have proven successful in helping to relieve some of the pain associated with Fibromyalgia, but more aggressive care is usually required. Our office uses Alpha-Stimulation to relieve emotional stress that trigger flare ups and it also helps to rebuild the mind-body endorphin pathways to help relieve and prevent pain. Synaptic Therapy can be utilized when acute flares occur and usually provides immediate relief. LiteCure Deep Laser Therapy can be utilized on acute and chronic trigger points and eliminated the need for trigger point injections. The biggest problem most Fibromyaliga patients have had is their physicians’ misunderstanding of the problem and the incomplete treatment they have received. 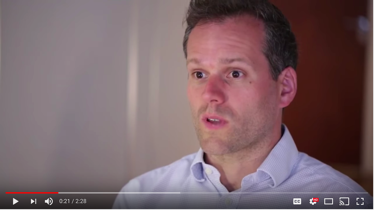 Treating Fibromyaliga is difficult, but not impossible. Sciatica can be caused by a number of low back conditions. The only way to successfully treat sciatica is to determine the specific reason for the pain. SOme of the more common reasons for sciatica include; arthritis, disc problems, Iliotibial Band Syndrome, Piriformis Syndrome, and abnormal biomechanics. The key to relieving the pain and improving the problem is to discover every part of the underlying cause. To often, a doctor will diagnose a patient merely by there x-ray or MRI findings. My office commonly finds missed diagnosed conditions which are just overlooked because a positive diagnostic test was found. While diagnostic tests are important, they are no substitute for a physician taking the time to talk to you about your condition and to do a full hands on examination. Most sciatic patients can be treated with traditional chiropractic care and physical therapy. Patients with severe pain will benefit from Synaptic Therapy and Alpha-Stim Therapy, two FDA recognized cutting edge treatments to manage pain. Our office also utilizes such advanced therapies LiteCure Deep Laser Therapy and Whole Body Vibration to reduce treatment frequency and long term results. as to insure the greatest chance of success. Patients that are in severe pain. Patients with more advanced sciatics from; arthritis, spinal stenosis, sciatica, bulging discs, and herniated discs will benefit from Intervertebral Disc Decompression Therapy (IDD Therapy). IDD THERAPY as be proven effective in treating the most difficult low back conditions even when medications, epidurals, chiropractic, physical therapy and surgery has failed. will provide dramatic pain relief by overwhelming the nerves that carry the pain single to the brain. Alpha-Stim Therapy is excellent for stimulating the body to produce more of its own natural pain relieving endorphins. Fatigue is one of the most often complained about problems in physicians offices. A good medical history, lab work up and lifestyle history are key to determine the underlying cause of chronic fatigue. A sound treatment plan can then be designed account for each of these factors. is often useful to determine an undiagnosed reason for chronic fatigue. This approach offers an alternative method to evaluate the body, which is especially useful when traditional evaluation methods have failed. Clinical Nutrition is a major step in fighting chronic fatigue. It can help deal with the poor lifestyle habits and the body’s need for additional nutrients. Stress management can be a practice upon itself. There are several therapies that when used in conjunction with traditional treatments do offer excellent benefits. Alpha-Stim Therapy helps the body produce more natural endorphins to better deal with stress. Neuro Emotional Technique utilizes the chines meridian system to stimulate the mind-body to better balance how a patient responds to stress. Clinical Nutrition can be utilized to reduce triggering foods and provide nutritional support to reduce the effects and frequency of stressful episodes. Neuropathy refers to pain or numbness usually into the hands or feet. The causes for neuropathy can be idiopathic, drug related, or disease related; like in the case of diabetic neuropathy. Neuropathy is usually accompanied with a decrese in the use of the hands and feet. A major problem for neuropathy sufferers is balance and gait. The loss of feeling makes it difficult for them to feel the ground, thus making walking difficult. The best approach for neuropathy is a two attack. Clinical Nutrition has revealed several key nutrients that help to stimulate effected nerve to function better. Whole Body Vibration Therapy has proven extremely effective for increasing the balance and the patient’s ability to walk. Infrared therapies similar to LiteCure Deep Laser Therapy have also shown to improve nerve function to improve function and reduce overall pain. There are numerous reasons for neck pain and usually several reasons are involved at the same time. The key to relieving the pain and improving the underlying problem is to discover every part of the underlying cause. Too often, a doctor will diagnose a patient merely by there x-ray or MRI findings. My office commonly finds missed diagnosed conditions which are just overlooked because a positive diagnostic test was found. While diagnostic tests are important, they are no substitute for a physician taking the time to talk to you about your condition and to do a full hands on examination. Most neck conditions can be treated with traditional Chiropractic care and Physical Therapy. Patients with severe pain will benefit from Synaptic Therapy and Alpha-Stim Therapy, two FDA recognized cutting edge treatments to manage pain. Our office also offers hands on work to relax and stretch the muscle of the neck. Carpal Tunnel Syndrome happens when the median nerve that runs through the wrist becomes trapped and inflamed. Typically the nerve becomes trapped between the bones of the wrist, known as the carpal bones, and the ligaments and tendons that attach to them. When this area becomes inflamed a person usually has numbness in the fingers, weakness in the hand and pain in the wrist. Carpal Tunnel is usually caused by repeating the same motion over and over again, this is known as repetitive motion injury. It may also be caused by a dramatic trauma like a car accident or fall. Carpal Tunnel Syndrome is now often used to any pain or numbness in the wrist and hand; It is very often associated with Double Crush Syndrome. Double Crush Syndrome refers to patients who are suffering with Carpal Tunnel Syndrome that have an injury in the wrist area and the neck area, these patients need to have both the neck and wrist treated to achieve long term relief. Proper Carpal Tunnel Syndrome and Double Crush Syndrome care requires that a proper exam be performed. The best way to evaluate the problem is with Applied Kinesiology. Treating Carpal Tunnel Syndrome and Double Crush Syndrome can be accomplished with Chiropractic care and Physical Therapy. Difficult Carpal Tunnel Syndrome are best treated with cutting edge therapies like LiteCure Deep Laser Therapy. Studies have shown that 80% of Carpal Tunnel Syndrome patients treated with Low Level Laser Therapy achieve dramatic relief. Low back disc problems cause pain for a number of reasons. While the disc may be the main problem, very often the nerves, joints and biomechanics of area are also involved. The key to relieving the pain and improving the underlying problem is to discover every part of the underlying cause. To often, a doctor will diagnose a patient merely by there x-ray or MRI findings. My office commonly finds missed diagnosed conditions which are just overlooked because a positive diagnostic test was found. While diagnostic tests are important, they are no substitute for a physician taking the time to talk to you about your condition and to do a full hands on examination. Our office offers some additional options for those patients with severe pain. Synaptic Therapy will provide dramatic pain relief by overwhelming the nerves that carry the pain single to the brain. Alpha-Stim Therapy is excellent for stimulating the body to produce more of its own natural pain relieving endorphins. The real success for treating shoulder problems comes with Applied Kinesiology. Applied Kinesiology evaluates the shoulder’s muscles strength, the joints range of motion and most importantly the overall biomechanics. The biomechanics refers to how well the muscles and joints work together. Applied Kinesiology allows the doctor to insure that proper biomechanics is occurring in the shoulder. Traditional Chiropractic and Physical Therapy also play an important role in rehabbing a shoulder. LiteCure Deep Laser Therapy has also become an important tool in dealing with the inflamed tendons and muscles associated with shoulder problems. Tendonitis refers to the inflammation of a tendon. Tendons are a fibrous tissues that connect muscles to bones. Tendons often become inflamed when you over use or strain a muscle, as is the case with tennis elbow. Tendonitis may also occur if your normal biomechanis is changes, as in the case of Plantar Facitis occurring after wearing new shoes. Tendonits that does not self resolve within a few days requires care. Applied Kinesiology is a great way to evaluate the normal biomechanics of the effected area Chiropractic and physical therapy are excellent for treating tendonitis. Difficult tendonitis cases often benefit from LiteCure Deep Laser Therapy.